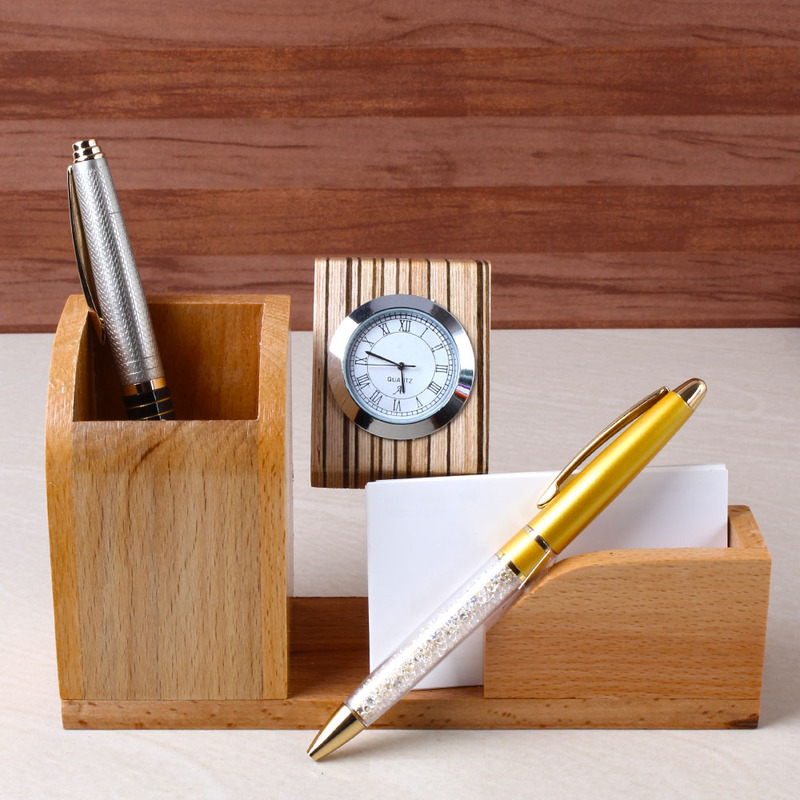 Product Consists : Wooden Stand Includes Table Clock, Matching Pen and Paper Holder along with Pair of Designer Pen. 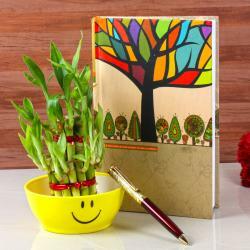 Delight your dear one with something unique but very useful gift, this Gift hamper is perfect for you. This is one of the fantastic gift hamper from our collection. 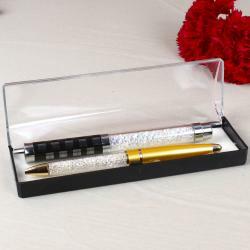 This hamper comes with one wooden stand which consists square pen holder and rectangle paper /card holder and also attach matching exclusive table clock. 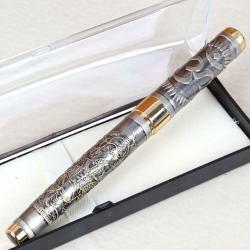 These gifts embrace with pair of Designer Pens. We assure you that your recipient love it and jump with excitement. So, why are you waiting for buy this hamper now. 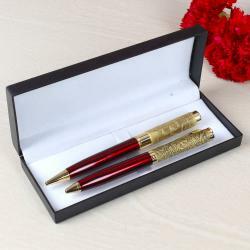 Product Includes: Wooden Stand Includes Table Clock, Matching Pen and Paper Holder along with Pair of Designer Pen.